Join the PTA as a General Member. A form will be sent home in September for our membership drive. 100% participation from our parents and teachers makes the greatest difference. The money we raise from the membership dues goes directly into the PTA budget. Volunteer for Events. We are always looking for volunteers to actively participate on committees and to help out at PTA-sponsored events. See a committee you’re interested in joining? Contact the committee chair. Keep an eye on your email for sign-up forms to volunteer to help at individual PTA events. 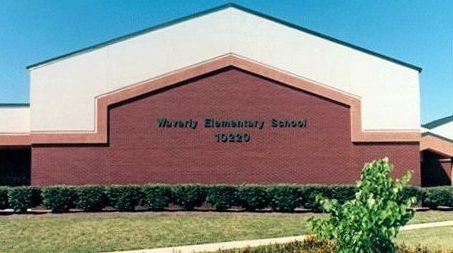 Participate in the PTA fundraisers and other ways to earn money for Waverly. Rather than fundraise every year, the PTA hosts a big fundraiser every other year. 2018-2019 is a non-fundraising year so we will be relying on Hassle-Free Donations to support the programs and events we will host this year. Those events include assemblies, cultural arts programs, an author visit, related arts support, teacher support, school-wide incentives and so much more. 100% off your hassle-free donation goes directly to our 2018-2019 budget. Attend Activities. We have lots of fun activities planned for our students and families to enjoy. Volunteer to be on the Board of Directors. We will start recruiting for our Executive Board and Committees in March for the following school year. There will be lots of communication, but if you are interested in learning more now, please contact president@wavespta.com.